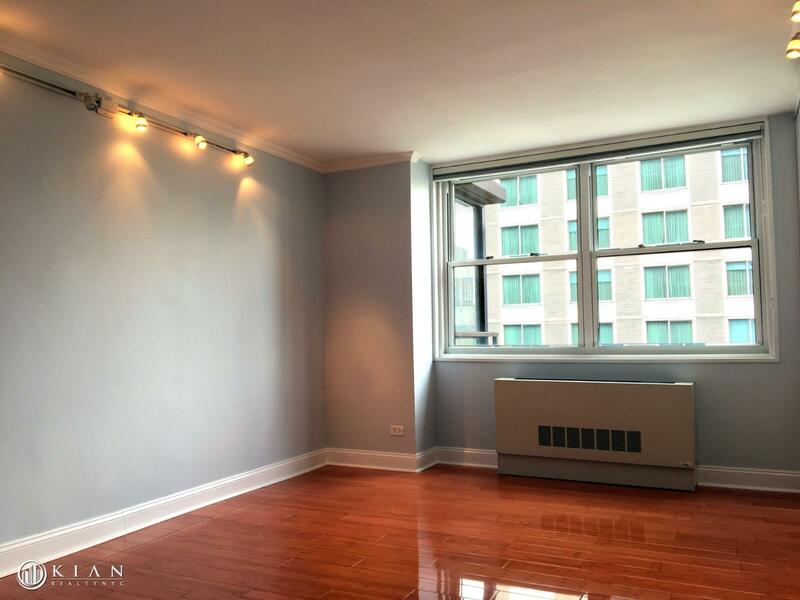 This 1,590sft exceptionally bright and spacious 2 bedroom 2.5 bathroom condominium is in a 24 hour Doorman building just minutes from Central Park. 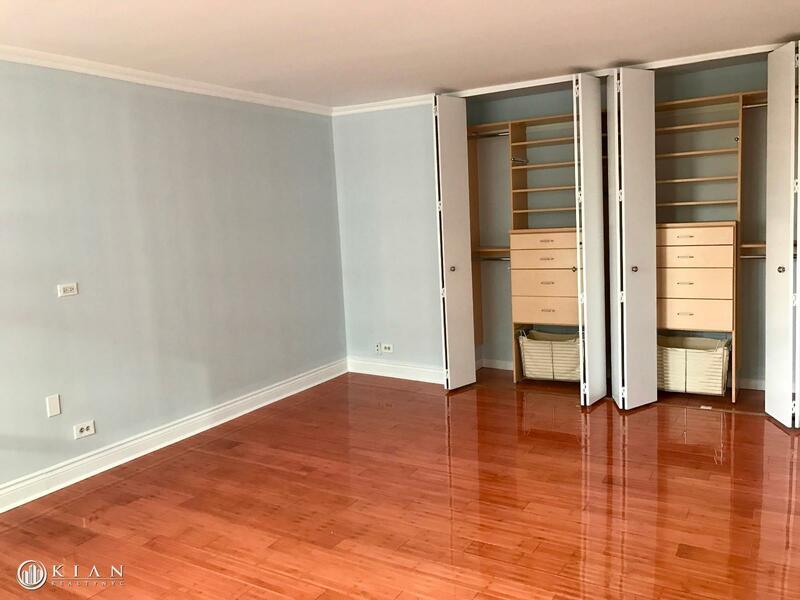 Upon entering the unit there is a large coat closet and direct access to the kitchen. 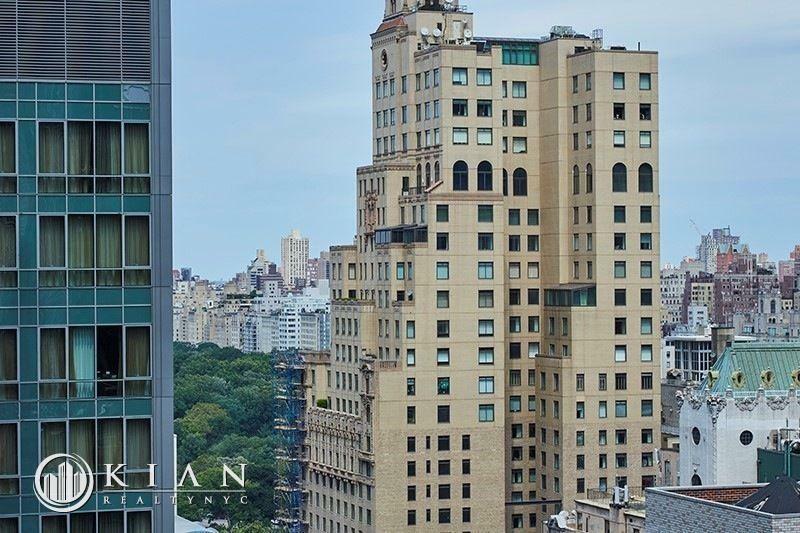 This unit features views of central park from an enclosed greenhouse terrace. 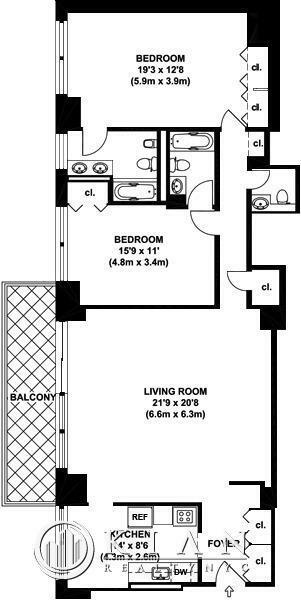 It has a very spacious sun soaked living room with wall-to-wall windows opening into a beautiful kitchen. 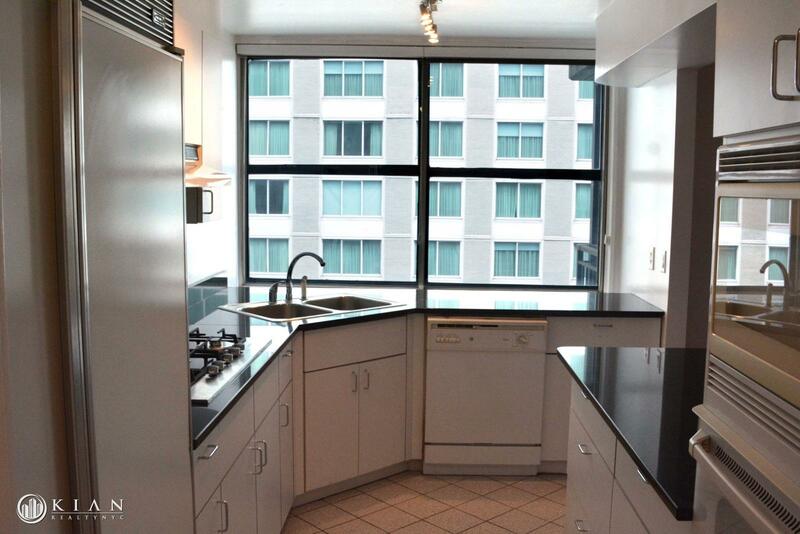 The kitchen features custom cabinets, marble countertops, and top of the line appliances. 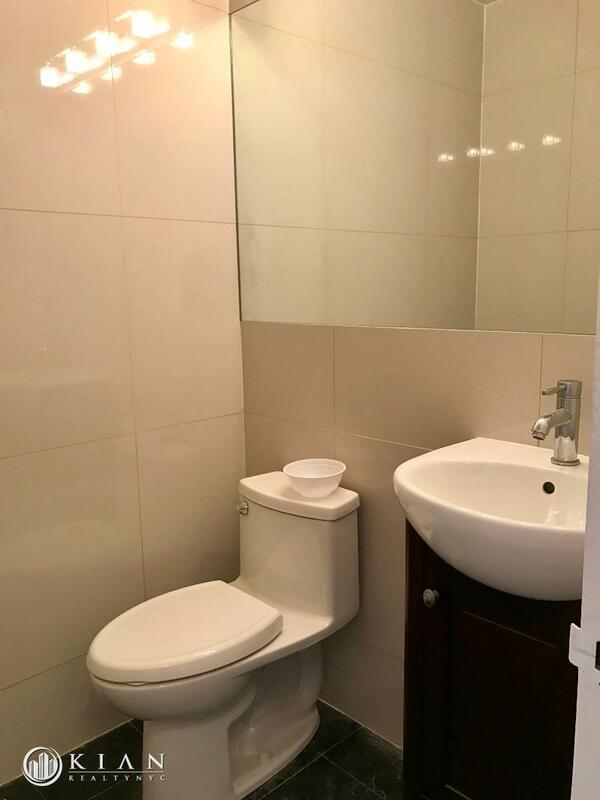 There are two king sized bedrooms each with it’s own bathrooms. Beautiful hardwood floors throughout. All windows are city windows, which are oversized and Citiquiet certified. Each floor in this building has only two apartments on this floor and the laundry centrally located on each floor. The 1st floor of the building has a NYH&R gym with a brand new, 52-foot saltwater swimming pool. 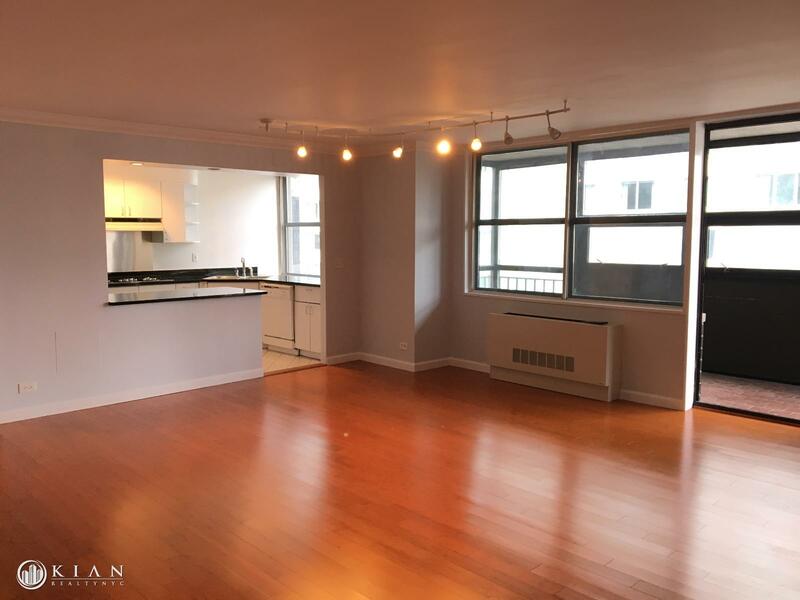 This apartment is located in a prime location near Wholefoods and the stores at Columbus Circle and Fifth Ave.